When I was a kid, my school cafeteria sometimes served a peanut butter and chocolate graham cracker square for dessert. You could only get them on certain days and only if you bought the lunch. They were so good that I’d specifically buy lunch on those days even if I didn’t like the lunch option. Ever since that dessert, I’ve been a huge peanut butter and chocolate fan. Grease a 8 x 8 inch baking pan and set it aside. In a large bowl, melt the butter and chocolate chips in the microwave for 30 seconds. Stir and repeat for additional 30 second increments, stirring each time, until they are completely melted. Add the sugar and vanilla extract and stir using a whisk to combine. The batter will look gritty. 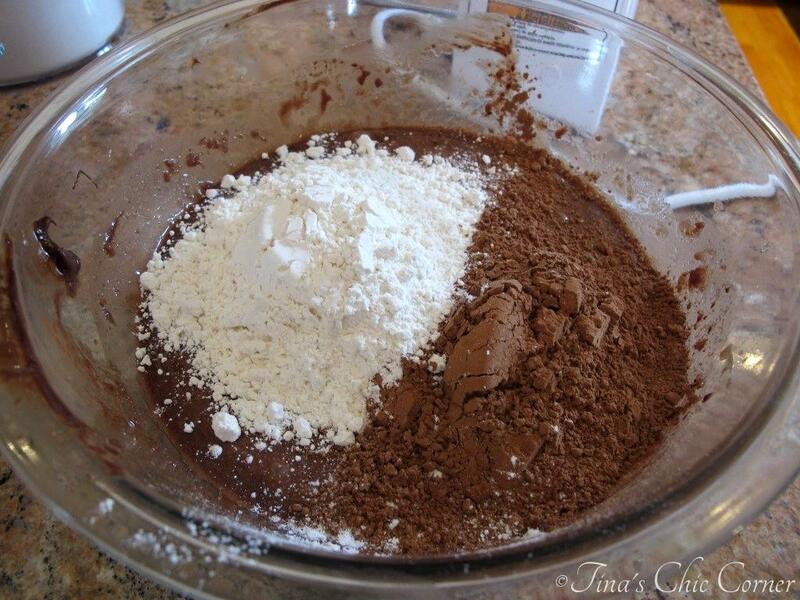 Add the flour, cocoa powder, and salt and stir until just combined. Spread the brownie batter evenly in the greased baking pan and bake it in the preheated oven for 25 to 30 minutes or until a tester comes out clean. Allow it to cool for about an hour. 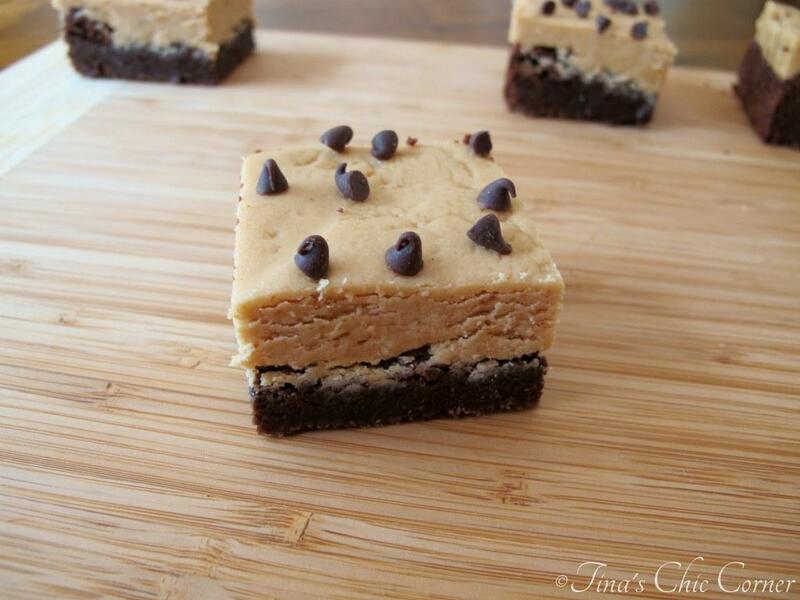 Spread the peanut butter frosting over the brownies. 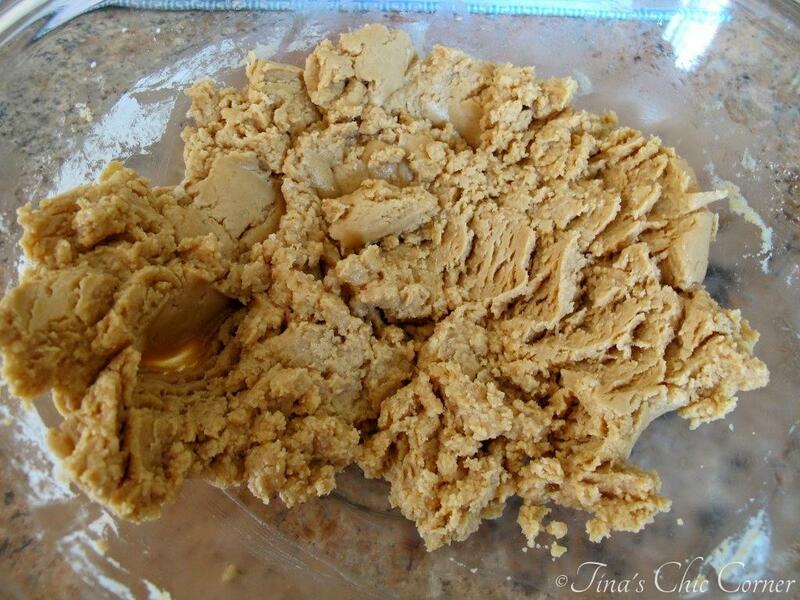 See the directions below for how to make the peanut butter frosting. Sprinkle with miniature chocolate chips. In a large bowl, beat the peanut butter and butter on Medium sped with a hand or stand mixer until it smooth (about 2 minutes). Add the vanilla extract and mix in the powdered sugar until it is well combined. Store in an air tight container on the counter or freeze in a freezer friendly zip lock bag. I’m in love with my Fudgy Brownie recipe. I have made it a bazillion times (i.e. a lot) and just by themselves they are sheer chocolate perfection. Now I’ve taken that brownie base and added some sweet peanut butter frosting on top. This brownie recipe is as easy as box mix, but tastes better. Melt the butter and chocolate chips. When I make Fudgy Brownies, I don’t melt the chocolate chips because they melt on their own while baking which leaves little pockets of chocolate. However for today’s brownies I wanted to make sure the brownie consistency was 100% smooth and fudgy so I decided to melt the chocolate chips. Stir in the sugar and vanilla extract. The batter will look gritty. Beat in the eggs. Add the flour, cocoa powder, and salt and stir until just combined. I love how you only need one bowl to mix all the ingredients. 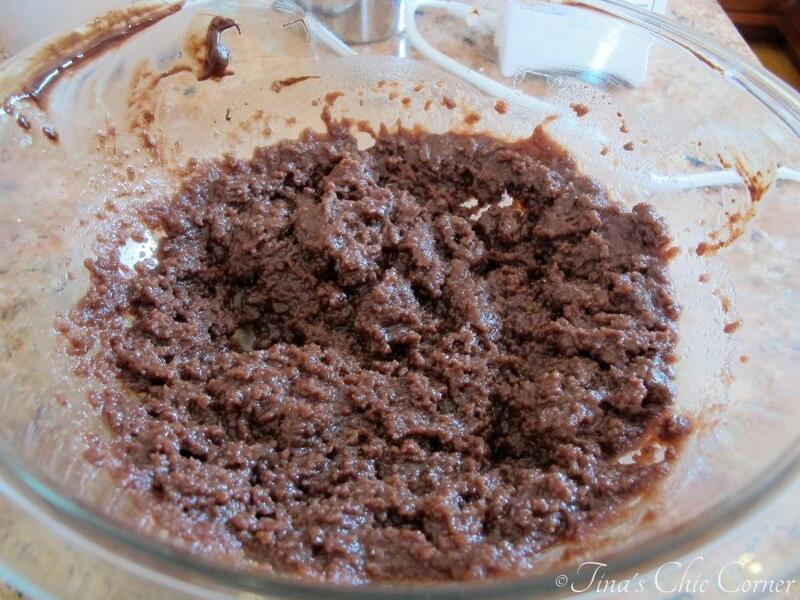 Spread the brownie batter evenly and bake it. Are you ready for the perfect peanut butter frosting? You only need four everyday ingredients and it’s super simple to make. Beat the peanut butter and butter until it smooth. Then add the vanilla extract and powdered sugar until it is combined well. This brownie is so moist and fudgy. Need I say more? If you’re looking for a chocolate piece of heaven then that’s your answer…Fudgy Brownie to the rescue again. The moment your lips hit the frosting, it’s all over. Peanut butter lovers, beware. You may hear harps when you eat this sweet dessert. The sweet frosting is a perfect match with the richness from the chocolate fudgy brownie. This peanut butter and chocolate bliss takes me back to those feelings I had when I was a kid and how my whole day revolved around those school cafeteria desserts. I look forward to every bite of this peanut butter frosted brownie with the same excitement! Thanks for trying the frosting recipe of mine from Joanna’s site! I am glad you saw it. And thanks for linking to me 🙂 Your brownies look INCREDIBLE! And they are so neat, tidy, and orderly. As a blogger, I notice these things and know how tricky it can be to get them that way – so major kudos! What perfect looking brownies, you killed it! What a looker! Pinning this for sure. Thanks for the recipe Tina. Will be putting this on my to-bake list. That’s awesome to hear! I know you will adore them. 🙂 Let me know how they turn out. 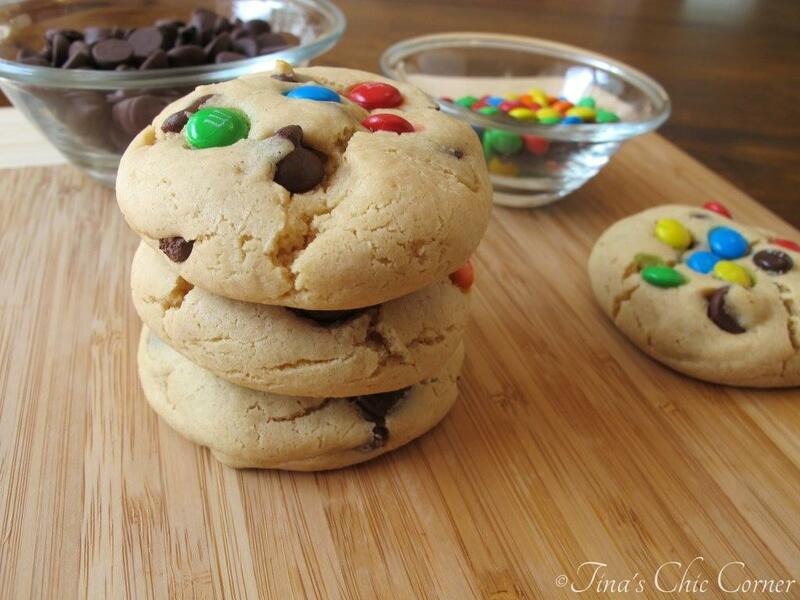 These look amazing, Tina! My school never had chocolate grahams with peanut butter. I so would’ve eaten hot lunch more if they had! Whoa, these look amazing! Pinning so I can make them for my pb loving kids (and their mama!). Oh my gosh, thank you so much! That makes me happy. 🙂 I’m actually craving them too. Hehe. These brownies look SO good!! 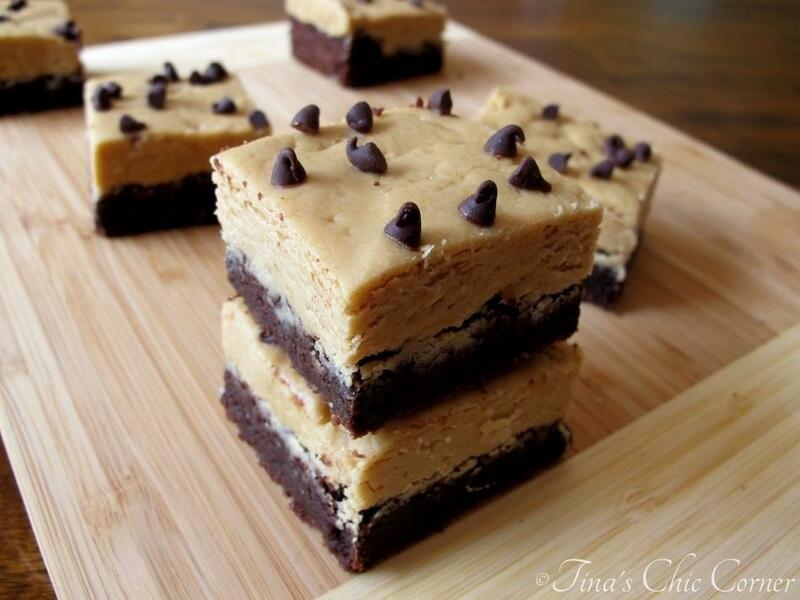 You can’t beat peanut butter and brownies. There is nothing quite like PB and chocolate. The frosting is almost as thick as the brownies – that must make for one amazing dessert! Beautiful brownies! So tall and so fudgy! 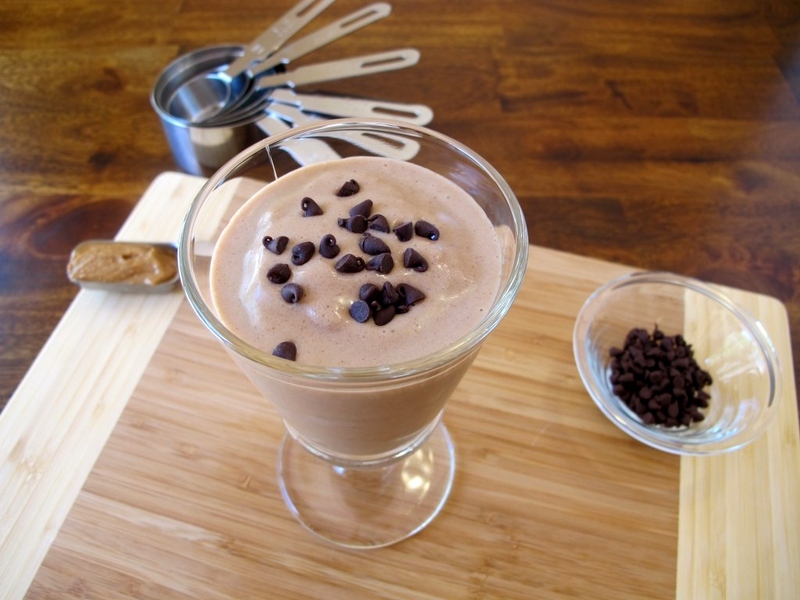 Peanut butter and chocolate – what can be better than this combination? What gorgeous brownies! 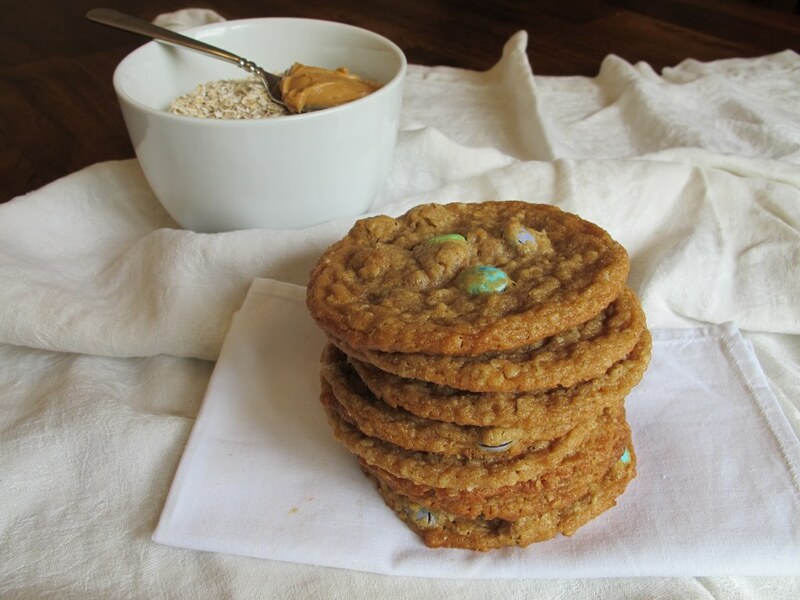 And of course, chocolate and peanut butter – made for each other!! Oh wow, I have to try these brownies. I love anything peanut butter and chocolate! Oh yum. I love peanut butter! 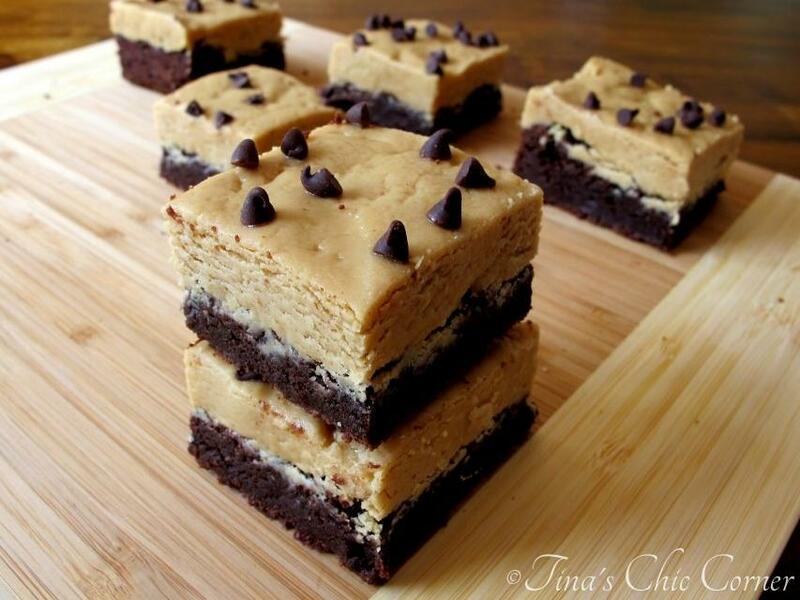 I love that you put a super thick coating of the PB frosting on those brownies. Looks delish! Stopping by from the Saturday Show Stopper. Have a great weekend! Um.. what’s not delicious about this?? Chocolate – good… Peanut Butter – good! Great recipe tina and awesome pictures. 🙂 Thanks for sharing at Show Stopper Saturday! Featuring you tomorrow morning at the Show Stopper Party! I substituted almond for every occurrence of the word peanut in this recipe and the result was superb.